Identity theft may seem like a remote possibility, yet 13.1 million consumers fell victim to identity fraud in 2015. * Thieves can not only steal money from their victims, they may rack up debt, file for a false income tax refund, and even commit crimes in their name ruining lives and reputations. Here are some examples of different types of identity theft. To stay ahead of threats and minimize disruption to your clients lives, AIG Private Client Group, offers CyberScoutTM. CyberScout is a leading provider of services that help customers defend against data breaches and identity theft. CyberScout's unique approach-delivering proactive protection, preventive education, and swift resolution-offers unrivaled support for more than 660 client partners and 17.5 million households. Based in Scottsdale, Arizona, the company has several locations in the U.S., Canada and Ireland. AIG Private Client Group homeowners policyholders in the U.S. are automatically eligible to access comprehensive identity management assistance services from CyberScout. If your client wants to report a problem or stop it from escalating, a CyberScout fraud specialist can step in to help. Among the broad range of circumstances supported are phishing scams, retail data breaches, and social media or email hacking. If traveling, CyberScout also can assist with worldwide document replacement, including passports, birth certificates, credit cards, driver's licenses and more. Visit www.idtheft.aig to learn about behaviors that increase their vulnerability, and get educated on best practices for identity protection. 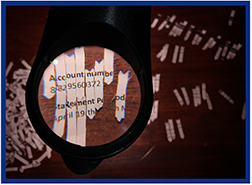 Identity thieves can attack from just about every angle. CyberScout can help them regain financial stability if their personal information is used to open a bank account, file a false tax return, pay utilities unrelated to their household, deplete their legitimate government benefits and much more. AIG's Private Client Program is available to registered Big "I" Markets agents in all states. 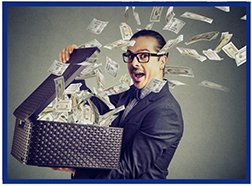 Steal over to Big "I" Markets and click on Affluent Program-New Business to learn more! And we have the resources you need to sell this product! A customizable solicitation flyer, sample client solicitation letter, questionnaire, and declination of coverage form have been created to make selling cyber to your small- to mid-sized business clients easy and efficient. To help reach your goal, we can assist with efficient quoting. Please reach out to Carla McGee, your dedicated Cyber Liability Program Manager, at (800) 221-7917 x 5495 or carla.mcgee@iiaba.net to learn how. Carla can also connect with you for to personal a walk-through of Coalition's proprietary online platform. Once you see it, you'll understand what all the excitement is about. Based on user feedback and ongoing efforts to improve the Big "I" Markets online experience, important enhancements will be made to the Big "I" Markets website in the coming days. You can now view your Agency's Hit Ratio immediately upon logging into BIM. Your hit ratio is calculated based on submissions and binders since your agency started using the platform. The figure is based on agency metrics rather than individual producers. Other changes, such as the removal of the duplicate product menu on the left side of the screen, help improve navigation. Additionally, buttons within the quote and binder request process, as well as new messages, are now dynamic. Finally, step two brings the "Add New Consumer" button to the top of the page to improve visibility. Contact us with any questions or other ideas to help make Big 'I' Markets the preferred market access platform. Stones in jewelry can fall out or can be chipped if struck, even diamonds. Earrings, broaches and pins, rings, and necklaces can fall off without the wearer realizing it. Jewelry is taken off temporarily but is forgotten or not there when the owner goes to retrieve it. Sometimes it is found months or years later. Historical tales contain famous stories of rings thrown into the sea, only to be recovered in a fish and once in a bag of goldfish crackers. Sadly, often lost jewelry is just gone. If your customers rely solely on homeowners insurance, their jewelry may not be protected. When it comes to insuring your clients' jewelry, specialty jewelry insurance from Jewelers Mutual Insurance Group makes sense. Claims start with a jewelry expert who knows exactly what your client needs and ends with a same-kind-and-quality jewelry piece. See the coverage comparison chart below for the benefits of having a standalone jewelry insurance policy versus relying on coverage through typical homeowners or renters insurance or a rider. All types of jewelry - engagement rings, watches, earrings, even loose stones being set - are protected by comprehensive repair or replacement coverage that goes beyond typical homeowners or renters insurance. It protects against common perils associated with jewelry loss - like mysterious disappearance, and includes worldwide travel. If something happens to your clients' jewelry, they have the flexibility to work with a trusted jeweler of their choice to repair or replace their piece with the same kind and quality as before. Retain your clients. 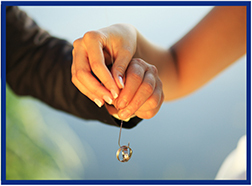 Offer a quote for worry-free jewelry coverage at jewelry.bigimarkets.com. For more information about Jewelers Mutual, visit Jewelry Insurance on the Big "I" Markets product listing. Coverage is available to Big "I" agents in all states. CE credits are available in select states. Check web page for details. Please send any questions to VU staff. Review all VU education offerings here. Amazingly, trailers is one of the most common topics asked about in the VU's Ask an Expert (AAE) service. Faculty members have answered just about every trailer-related question at least 10 times. Is it the BAP or PAP that responds? It's a non-owned trailer being pulled by an owned auto – which policy….? In this session we study the coverage questions surrounding trailers. We answer these and many other questions. This session introduces and details the 10 defined BAP coverage symbols and addresses some gaps created when certain symbols, or combination of symbols are used. Beyond the 10 "defined" symbols, the ability to create and use "self-defined" coverage symbols is discussed along with various endorsements that can extend coverage to certain vehicles. Rental Reimbursement (CA 99 23). In this session we introduce and describe each of these important endorsements. Congratulations to our agent in California on a Commercial Auto - Monoline sale of $17,653 in premium!